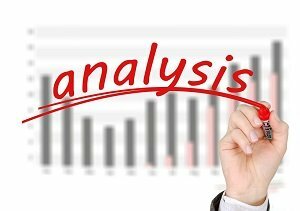 In general terms, an analytical essay can be defined as a concise piece of writing that analyzes a specific topic and demonstrates the author’s personal opinion regarding it. This type of essay may involve the evaluation of certain information taken from different sources, such as books, articles, plays, artworks. The analytical essay must present a specific argument basing on which the author showcases an own viewpoint about a described issue. It is important to remember that in order to make up a proficient analytical essay example, the text should contain an appropriate level of objectivity, but any redundant details should be omitted. The gun control theme is one of the most controversial subjects that concerns modern American society. The article “Study: Some Gun Control Laws Result in More Deaths” written by Kimberly Leonard illustrates reasonings regarding the restriction of a legal weapon purchase in the USA. The author claims that with the enactment of laws setting more strict limitations in terms of gun possession, a number of gun deaths will be considerably increased. As the evidence, he appeals to an accurate federal statistics and opinions of honorable scholars. According to the author’s position, despite the fact that federal gun control law introduced necessary background checks for gun buyers in 1993, approximately forty percent of all transactions related to weaponry are managed by private ventures, which do not usually require such background checks. In addition, the author presents the ideas of Dr. Sandro Galea, the scholar of Boston University School of Public Health. Dr. Sandro Galea indicates that local states laws which enable citizens to use firearms in cases of self-defense are inseparably linked with the increase of gun deaths due to an own discretion of law enforcement agencies to issue gun permits. The author also emphasizes that many studies regarding an adverse sides of expanding the gun control are ineffective since they do not take into account a lot of crucial factors, such as the extent of an alcohol consumption and conditions of a mental health among the population. It is possible to state that the article “Study: Some Gun Control Laws Result in More Deaths” contains a relevant and credible information that allows to fully understand the represented topic. Definitely, the gun control is a complex issue, which is perceived ambiguously. Since current editions of new gun control laws involve provisions of both extending rights of a gun possession and limiting them at the same time, loopholes will be always present. Such uncertainty of the legislation provokes difficulties in establishing mechanisms of the prevention of an illegal gun usage. Based on this, I think that the gun control will be experiencing the lack of effectiveness for a long time, and occasions of an illegal gun purchase will be prevalent too. To sum up, it can be confidently stated that the problem of an appropriate gun control cannot be resolved by simple restrictions in the field of a gun ownership. It is clear that liability for an inappropriate purchase and possession of weaponry must be also strengthened. As the result, citizens will be more prudent before they decide to apply the firearm. Krouse, W. J. (2012). Gun control legislation. DIANE Publishing.